The current leadership of Israel believes that the main threat to the security of the Jewish state comes from Iran. With the resolution of the Iranian nuclear issue and the cessation of the Islamic Republic’s international isolation and unilateral sanctions of the West, according to predictions in Tel Aviv, Tehran’s power will be growing and this treat will be increasing. 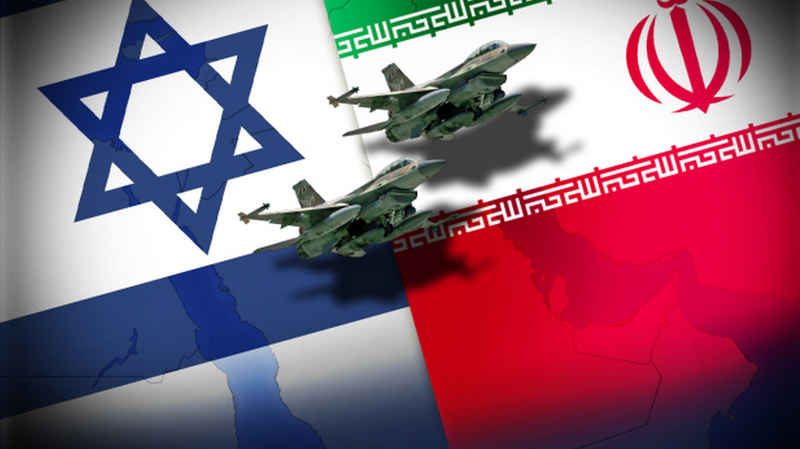 In the foreseeable future, Iran may become militarily and economically comparable to Israel. In the long term, given the enormous potential human, raw material and industrial resources of Tehran, it is capable to take the position of a regional superpower. This is the general context of Israel’s approach to all issues associated directly and even indirectly with the Iranian regime. The main thing for Israel today is to disrupt nuclear reconciliation between Iran and the United States. The underlying leitmotif of almost every action, statement, decision and visit of Israeli Prime Minister Benjamin Netanyahu has been the theme of negotiations on the Iranian nuclear programme. Netanyahu is cautioning, persuading, intimidating and threatening. The main arrows of his criticism are aimed at President Obama, who has allowed himself to embark on the road to reconciliation with Tehran contrary to Israel’s objections. Indeed, now it is hard to believe that just half a year ago the US was seriously considering the dilemma: to help or not to help Israel launch military attacks against Iran. It is becoming increasingly apparent that, despite Washington’s repeated reminders of the fact that its arsenal still contains the military option for solving the Iranian problem, America has no intention of opting for this extreme measure. 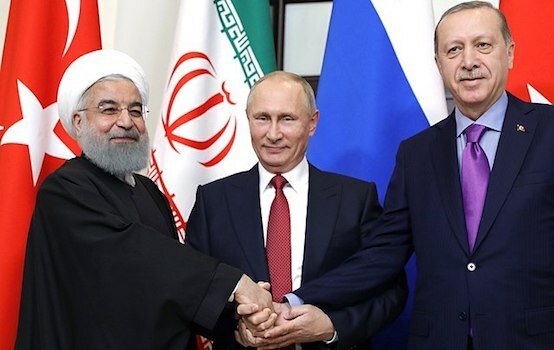 Besides, after the US decided not to commit military aggression against Syria due to the lack of support on the part of its closest NATO allies, the probability of settling the differences with Tehran by force currently seems to be negligible. Nevertheless, Netanyahu keeps trying to change Washington’s position. The Israeli Prime Minister launched a new offensive against the White House during his official visit to the other side of the ocean in early March. 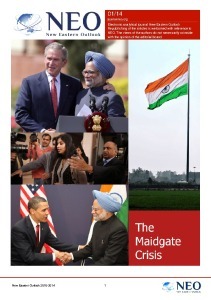 But the timing of his visit was not really very auspicious. America was dealing with Ukraine, where American-style democratisation yet again yielded unpredictable outcomes. The Ukrainian crisis extended beyond internal confrontation and took on an international dimension. The US provoked a conflict between the West and Russia which pushed the problems of Iran and Syria behind the scenes of world politics. All that Netanyahu managed to achieve regarding Iran was new anti-Iranian statements by the American administration in terms of instigating Iranophobia in the international arena. During a State Department briefing, Jen Psaki stated that the suspicions regarding what she had described as “Iranian support of terrorism” and “human rights violations in the IRI” remain valid. Some of these pronouncements were based on the recent scenario developed by Israel regarding an alleged weapon supply from Iran to the Gaza Strip. On these grounds, Washington claims that Tehran sponsors terrorism and poses threat to the security of the region. At the same time, Washington remains confident that Israel may find itself in international isolation with its stance on the Iranian issue. Despite France’s solidarity with Tel Aviv, Paris signed the agreement of the “six” with Iran. Saudi Arabia refrained from open condemnation, whilst the other rivals of Iran in the region – Qatar and Bahrain – even welcomed the concluded agreement. Its only explicit adversary is now the Jewish State. Iranian President Hassan Rouhani has stated that Israel got isolated after Tehran and the world powers reached a historic agreement on the nuclear programme in Geneva on Sunday. In this situation, Israel’s threats to attack Iran single-handedly are not taken seriously in Tehran even despite the fact that Israel continues to prepare for a military strike demonstrating its commitment to solving the problem by force. Meanwhile, Israel’s intelligence activities in Iran are currently focused on uncovering instances of the violations of “Geneva agreement” requirements by Iran, rather than on carrying out preparations for a military strike. According to Ali Akbar Salehi, the head of the Atomic Energy Organization of Iran (AEOI), Tehran is not going to respond to any accusations coming from the IAEA if they are not backed by convincing evidence. In particular, the International Agency cannot accuse Iran of trying to develop nuclear weapons based on reports of individual experts, especially of the Israeli intelligence service, which is interested in persuading the West to continue maintaining the sanctions regime against Tehran. Sanctions are of particular importance to Israel: if Tel Aviv manages to achieve the strengthening of sanctions through the Jewish lobby in the US, it will not only harm the current negotiation process between Tehran and the world community, but it can provoke the Iranian military to refusal to negotiate at all. We have to keep in mind that the armed forces of Iran have been long and seriously preparing to respond to possible aggression. Minister of Defence of the Islamic Republic of Iran Brigadier General Hossein Dehghan – when commenting on the recent tests of the Iranian next-generation ballistic missiles with multiple warheads – stated that the ballistic missiles were their response to the American and Israeli threats. The general described the conducted tests as a successful rebuke to the American posturing and rhetoric. In particular, he was referring to the repeated statements by US officials confirming that the “military option” for solving the Iranian issue remained. As Hossein Dehghan has pointed out, the armed forces of Iran are ready and will be even pleased to test their strength on the Americans. In regard to Israel, the Iranian military allow themselves to be even more categorical. Commander of Iran’s Revolutionary Guards M. Jafari believes that it is Israel that is pushing the US towards military interference, and he openly says that “a strike on Iran will mean the immediate destruction of Israel”. Tehran’s success in its negotiations with the “six” achieved with the consent of the US makes Israel look for new allies in its confrontation with Tehran. In this context, Iran is concerned about the rapprochement of Saudi Arabia with Israel. The discontent with Obama’s policy appeared in Saudi assessments immediately after the first signs of a thaw in the US-Iranian relations. Riyadh concluded that the US and Iran were secretly planning on a strategic alliance aimed at reducing Saudi Arabia’s influence. It is not something unexpected that the rapprochement with Iran may serve the regional interests of the US. According to the Americans themselves, the US would benefit from such a control scenario in the Middle East which would not allow any of the countries to become an undisputed military leader with claims to the role of a regional superpower. The classic way of achieving this goal is to maintain the balance of power and, at the same time, to preserve permanent tension in the relations between the competing states, in this case between Saudi Arabia and Iran, and also between Israel and the IRI. Saudi Arabia, same as Israel, is interested in the military destruction of Iran and the change of the Islamic regime, hence you cannot rule out their joint action. The Israeli military consider launching strikes on Iran through the KSA’s territory as quite probable. For the last several years, the fact that there are secret negotiations underway between Israel and Saudi Arabia has not been sensational anymore. Even despite the US plans, the world could witness the emergence of a seemingly unlikely Arab-Israeli alliance claiming the role of a “collective superpower” in the region. The world is already seeing chaos in the ranks of America’s allies. The US plans for a military action in Syria were not supported even by its most devoted ally, Great Britain. The overwhelming majority of NATO countries also refused to get involved in this adventure. The leaders of many other allied states eluded solidarity with President Obama, and now even the long-standing partners in the Middle East are seeking independence in solving the issue of a war with Iran. Nikolai Bobkin, PhD in Military Sciences, Associate Professor, senior research fellow at the Centre for Political and Military Studies, Institute for US and Canadian Studies RAS; exclusively for the online magazine “New Eastern Outlook”.